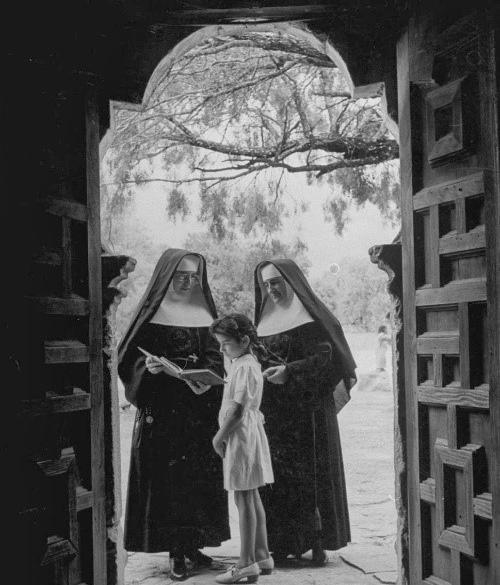 "Footprints of Service," A Tour Remembering Incarnate Word Sisters History and San Antonio History, October 6, 2018. Learn, make friends, and be renewed as we visit historical treasures in our city. Remember the service of the Franciscan who came in 1731 and the Incarnate Word Sisters who came in 1869. Enjoy two of the Missions which UNESCO has designated World Heritage Sites and San Fernando, the oldest cathedral sanctuary in the United States. Reflect in the beautiful Chapel of the Incarnate Word, a contemplative space which has given Sisters strength for mission, and see the Sisters Heritage Center exhibit. See glimpses of some of the tour and story. Explore San Francisco de la Espada Mission where Incarnate Word Sisters taught. Visit the San Fernando Cathedral Museum which has the chalice of Bishop Claude M. Dubuis who wrote a letter with an invitation that brought French young women to Texas to care for those in need. “Our Lord Jesus Christ suffering . . . seeks relief at your hands.” Learn of the Sisters orphanage and hospital down the street. As the number of orphan children increased in the 1800’s, the Sisters built the downtown St. John’s Orphanage. In 1912 a terrible fire broke out. Eighty-nine orphan boys were saved, but three boys were killed. Four Sisters who were searching for the children in the fire were killed. Seeking a place for the children, the Sisters build St. Peter’s right across from Mission Concepción in 1913. Children from the home, now called St. Peter-St. Joseph’s Home often attend worship in the mission. Dr. Gilberto Hinojosa, an acclaimed Texas Historian and a leader in the initiative to research and share the history of the Sisters in San Antonio, will share information and insights. The free tour, 9 am to 2 pm, will begin and end at the Chapel of the Incarnate Word, 4503 Broadway, San Antonio, TX 78209. Participants need their own transportation. Carpooling is encouraged. Persons may join part of the tour. Participants may purchase sandwiches or bring their lunch. Please register by writing ccl@uiwtx.edu so that there will be enough educational materials. For questions or additional information, please call the Ettling Center for Civic Leadership at the University of the Incarnate Word 210-283-6423. 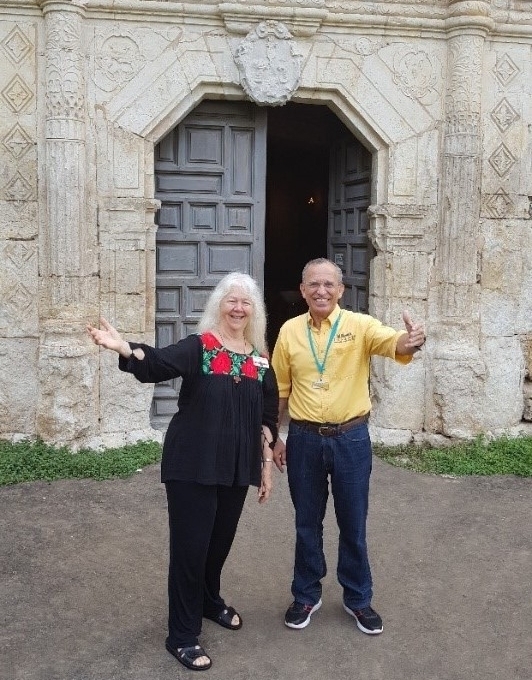 Sister Martha Ann Kirk, University of the Incarnate Word Professor of Religious Studies and Father David Garcia, Director of the SA Missions, in front of Mission Concepcion.